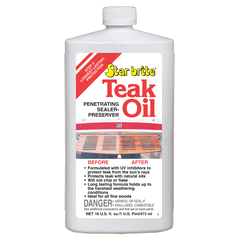 Apply to dry surface using a brush or cloth in the direction of the wood grain. Allow to soak into wood, then wipe off excess. Apply second coat if necessary. 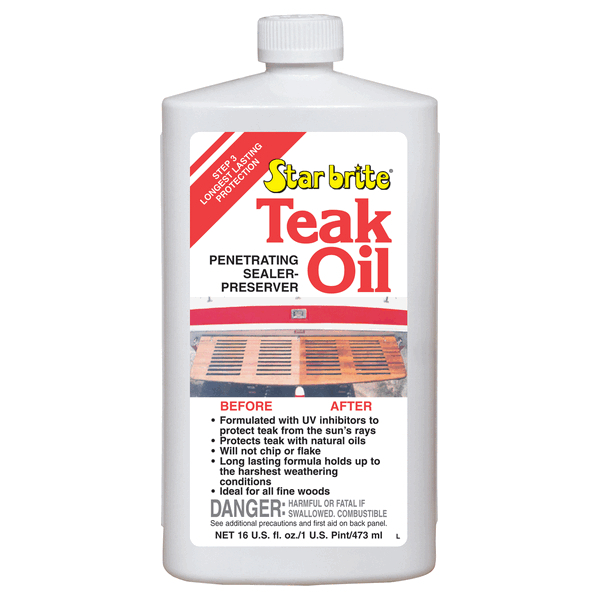 Re-apply Star brite Treak Oil at the first sign of weathering.